There isn’t quite the glitz or red-carpet gossip of Cannes in the French Riveria, or even Telluride in Colorado, but in many ways the Luang Prabang Film Festival is far more impressive. The so-called Sundance of Southeast Asia is hosted every year in this charming northern Lao town best known for its temples and austerity. And the complete lack of cinemas. The audacious celebration of cinema, held on December 2-7, uses a unique jury system in all the countries of the region. Selected films show open air in the town plaza or in small screenings at the historic Sofitel Luang Prabang. Electricity can fluctuate, but there’s no more intimate place to interact with directors and stars, or enjoy an elephant parade down the main street. And the films and festivities are all free. 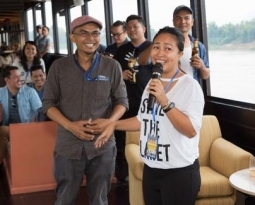 Now in its seventh year, founder Gabriel Kuperman announced an expanded program, with more films, more director and panel discussions, and participation from the famed Tribeca Film Institute, with a Talent Lab designed to help young Southeast Asian filmmakers make and market their films. “Every year it just grows bigger, and bigger,” said Kuperman, 32, who is from Washington and studied film in New York. This year a record 32 films will be featured with 21 of the filmmakers on hand to present and discuss their work. A popular new feature introduced last year was a country showcase highlighting up and coming Cambodian cinema. This year’s focus is the Philippines, as curated by Francis Joseph “Oggs” Cruz, a lawyer in Manila, and film fanatic who writes for books and newspapers like the Philippine Star and Philippine Free Press. Four movies from the Philippines, all released last year, will be shown: Apocalypse Child, Haze, Ma’ Rosa and There’s No Forever. Two of the directors will attend. 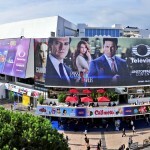 Besides nonstop films from 10am until 11 p.m., the program includes highly popular panels, bringing a wealth of cinema expertise to a country that had only a single movie house last year. Bryce Norbitz, from the Tribeca Film Institute, will guide participants through the grant writing process, from idea to pitching and marketing. Other panelists include Jeremy Sim of Aurora Media Capital, a US$30 million Singapore fund targeting content producers in Southeast Asia, and Stephane Lambert of Asian Side of the Doc, which helps market documentaries to cinemas and TV channels. One especially enticing part of the festival to aspiring Asia filmmakers is the first Talent Lab. Led by the Tribeca Film Institute, this will be an all-day seminar in how to get films made. One project will be selected for presentation at TriBeCa in 2017, where it can be discussed in person with editors, distributors and financiers. Simply staging the festival in such a remote location is a monumental achievement for Kuperman, who happened on Luang Prabang during a backpack tour of Southeast Asia in 2008, and like innumerable other visitors, was enamored with the authentic qualities of this serene former capital of upper Laos along the Mekong River. Working on a shoestring budget, he nonetheless operates to the highest levels of film selection and presentation, making it a favorite of the region’s moviemakers. 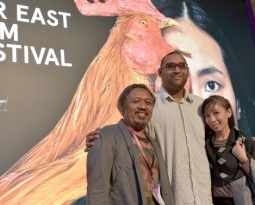 “It’s encouraging to see the festival grow in both size and attendance,” noted Tom Waller, a Thai filmmaker who showed The Last Executioner at last year’s festival. 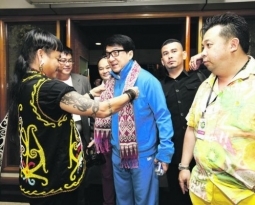 He is one of the region’s more prolific and successful filmmakers, yet he detailed high hurdles for commercial films in Southeast Asia. “Festivals like these are so important,” he said. Another new collaboration for the nonprofit Luang Prabang festival is with Red By HBO, a channel that showcases Southeast Asia content. Waller’s sumptuous feature about Thailand’s last executioner, is among the three initial presentations, along with Ms J Contemplates Her Choice from Singapore, and the Laotian-made At The Horizon. The festival focuses on providing support in Laos and other countries where fledgling filmmaking needs the help. The Lao Filmmakers Fund provides seed money for projects. This year, thanks to increased donor support, including a significant grant from Oxfam International, the festival was able to fund four projects, up from two last year.